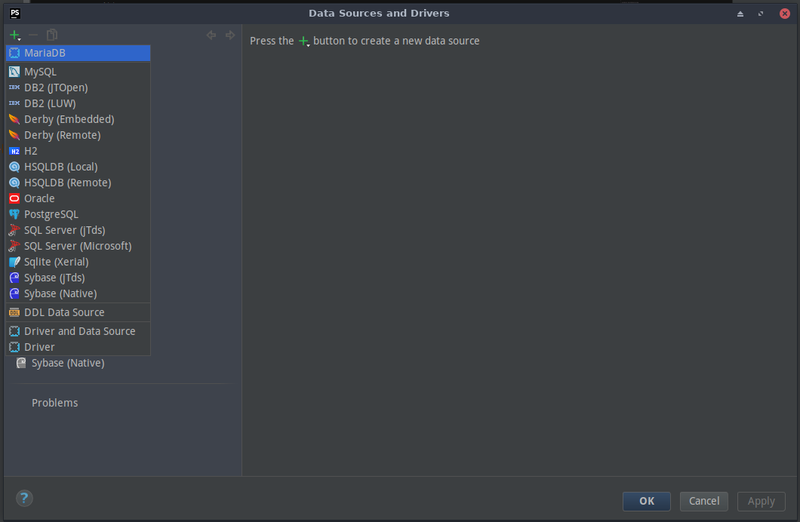 PHPStorm now includes MariaDB as a schema type but does not include the driver files. 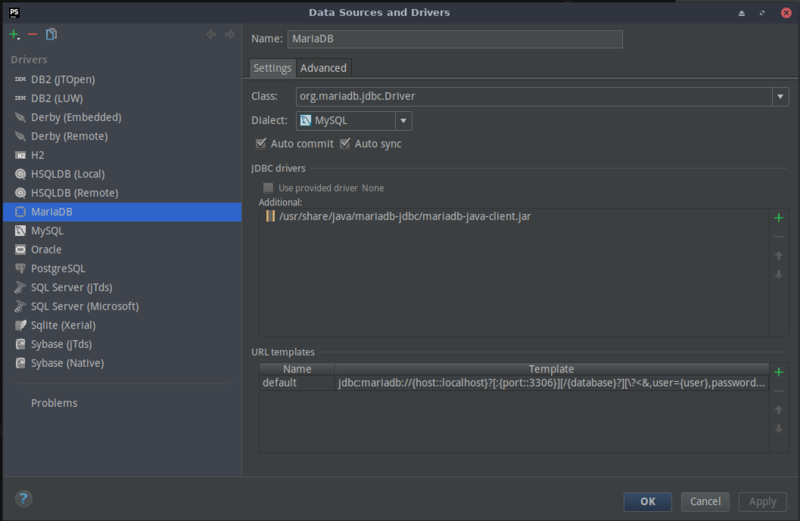 It does offer to download the MariaDB driver for you, but if you want to use the native driver, install mariadb-jdbc from the AUR and edit the MariaDB entry in PHPStorm to use /usr/share/java/mariadb-jdbc/mariadb-java-client.jar as the driver file. PhpStorm comes with several preconfigured database drivers (although the drivers themselves must be download separately). 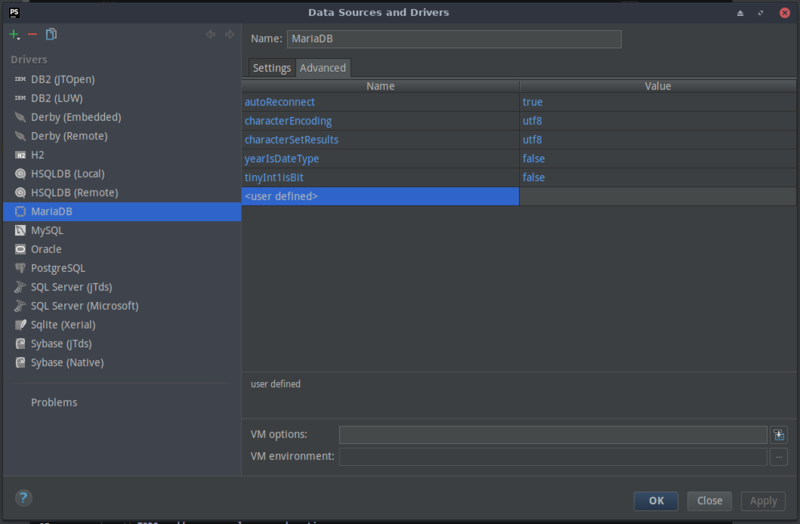 This short tutorial will tell you how to setup MariaDB as one of your Drivers on PhpStorm running on Arch Linux. This can be done by selecting the menu option View > Tool Windows > Database and then clicking the wrench icon. Change the “Dialect” to MySQL. Just click the green plus icon again, select MariaDB as your data source, and fill out the connection information for your database. Colin: A BIG thank you…NO, A HUGE thank you…for taking the time to post this. I recently switched over to MariaDB here on my office machine at the same time as (finally) setting up my phpstorm 10 to develop locally instead of constantly uploading to my public server. Trying to juggle the two of those was sending me in circles as I watched youtube videos, visited help pages and scoured stack overflow for the past two days. Your clearly explained step-by-step got me up and running! The added screen shots were extremely helpful to boot. This blog post was the only online tutorial that helped get me back to work. Once again…THANK YOU for taking the time to post it. John S.
Thank a lot! helpful !